Dr. Alessandro Chiesa will discuss the bitcoin privacy problem and how to fix it. He will introduce the main algorithmic ideas behind Bitcoin, the first decentralized crypto-currency to gain significant public trust and adoption. Dr. Chiesa will further explain one of Bitcoin’s main limitations: its lack of privacy due to the fact that every payment is broadcast in plaintext. And he will conclude his discussion by explaining how to solve this problem with a beautiful cryptographic tool, zero knowledge proofs. This solution was recently deployed in the wild, as part of the cryptocurrency Zcash. 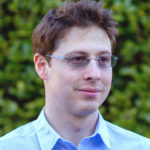 Alessandro Chiesa is an assistant professor in the Department of Electrical Engineering and Computer Science at UC Berkeley. His research spans the areas of complexity theory, cryptography and security, and focuses on the theoretical foundations and practical implementations of cryptographic proof systems such as, zero knowledge proofs. He is co-inventor of Zerocash and co-founder of Zcash. He is an author of libsnark, the leading open-source library for succinct zero knowledge proofs. He received a Ph.D. in computer science from MIT in 2014, and B.S. degrees in computer science and in mathematics from MIT in 2009.